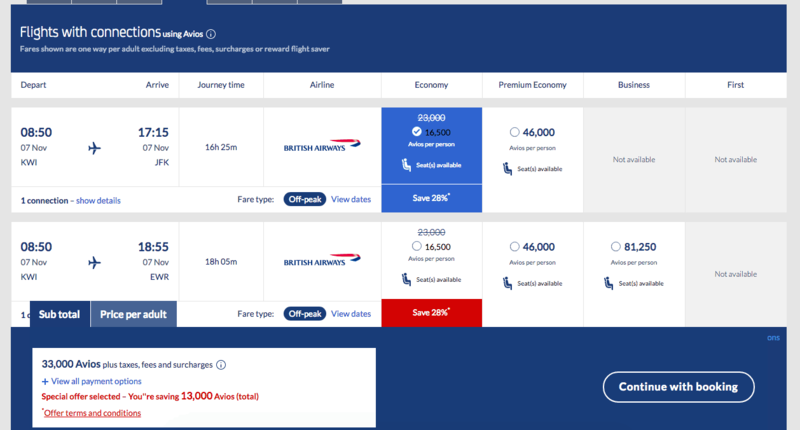 I was looking through options for flights to the USA and I stumbled upon this discount of Avios redemption up to 50% discount via Avios.com in economy. 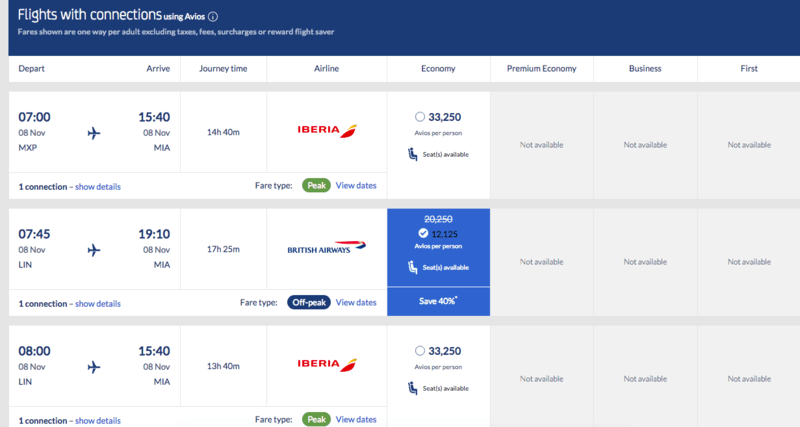 It is now confirmed that the deal is valid for BA and Avios.com bookings for 90 destinations during peak and off-peak travel. This is only available via Avios.com for flights to the USA as you can see below. It also works in both directions and it might be better to use on the USA to Europe leg since taxes are cheaper. The discount depends on when you are booking the flights and it works for off-peak tickets only. 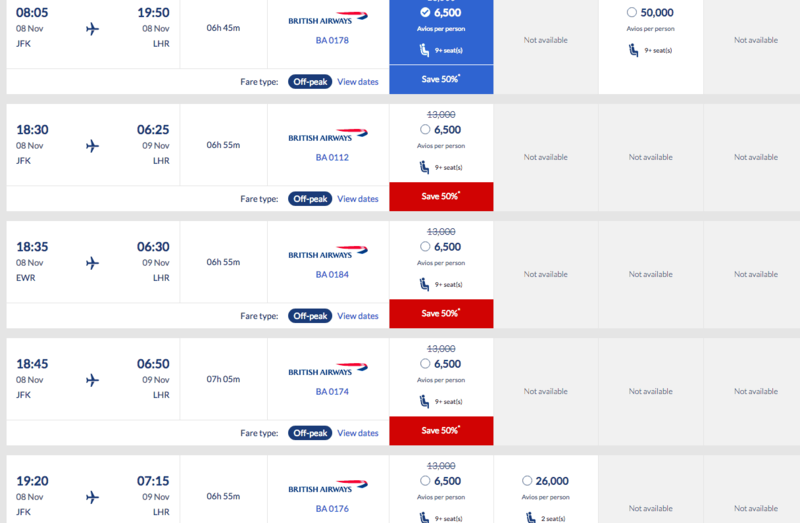 The discount seems to be working from any other destination that British airlines fly. I tried to search for flights from London, Milan, Dublin, Kuwait and all offered the discount. The offer doesn’t work on other routes, unfortunately. This might not be an offer for everyone but if you are looking for particular redemption and in the right direction taxes can be less and can make sense. 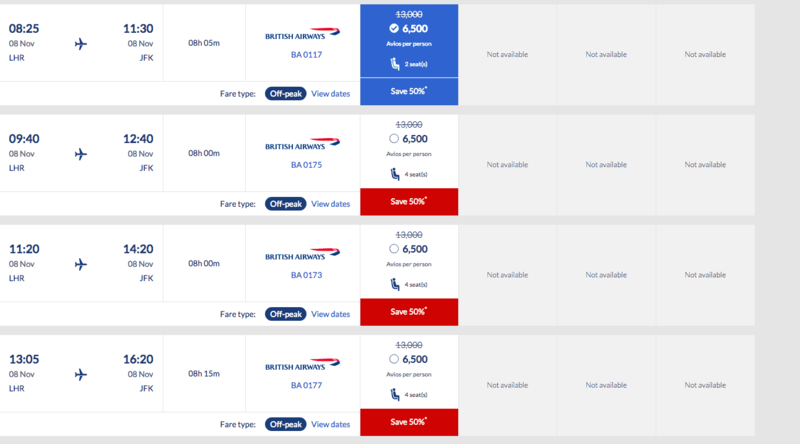 For reference, a flight in cash on BA from Dublin or Milan is around £350 at the moment.